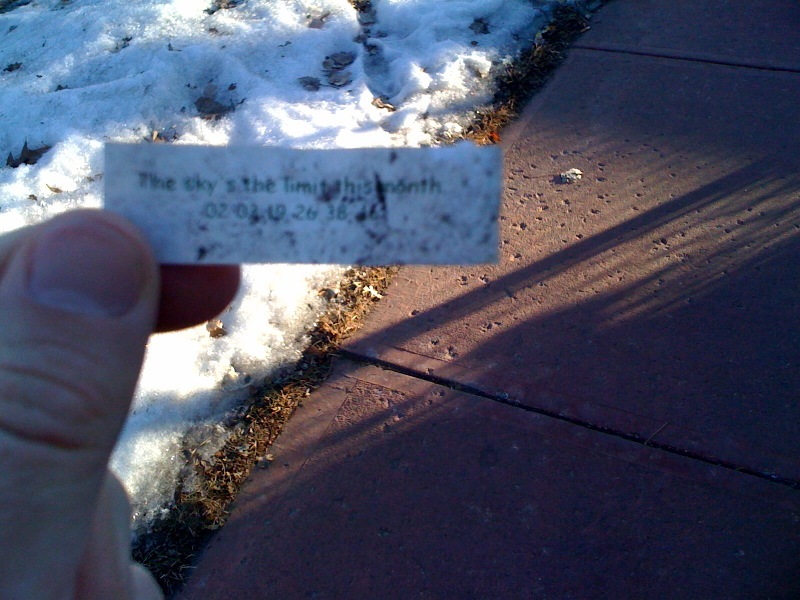 Filed under: Intangible Truths, Uncategorized | Tags: empty calories, empty prophecies, my thumb makes a cameo, open your fortune cookie in bed, this month? I, however, was left with questions: “this month.” Does it refer to January? Feb? Are we talking yesterday through February 26? So many things to ponder. And really, I need a universe to hone in on what’s going to be so great about “this month.” job? money? will I will the lottery? Take a vacation? Work with me, people. I just can’t imagine “this month” is going to be some madgasm of an explosion of happiness on all fronts. huh, maybe I didn’t find optimism in my yard. It’s been a while. My yard is blanketed in snow, and I think people are afraid to leave me gems because they stand out in the stark contrast against the whiteness. 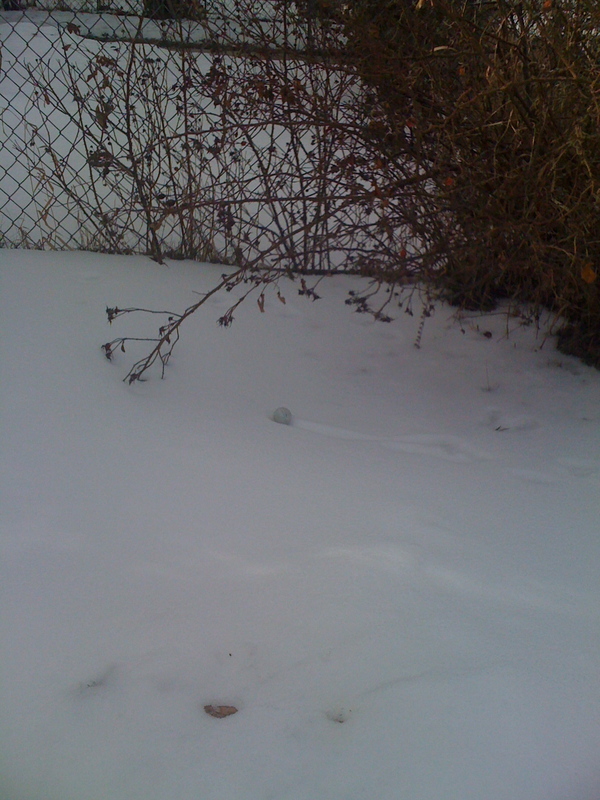 A golf ball, because I live so close to a country club? I’m not really sure about this one. I mean, I’d imagine it had to have bounced there, which is kind of unsafe. My high school principal lost teeth to a bouncing golf ball, true story. Well, someone yelled fore and he evidently missed that part, and it slammed into his face. Either way, Danger. Do you think maybe tiger woods left it? trying to add me to his harem? I mean, we know he’s straight, but I would wager he’s “straight to the gays” as they say. Oh tiger, such an easy target. 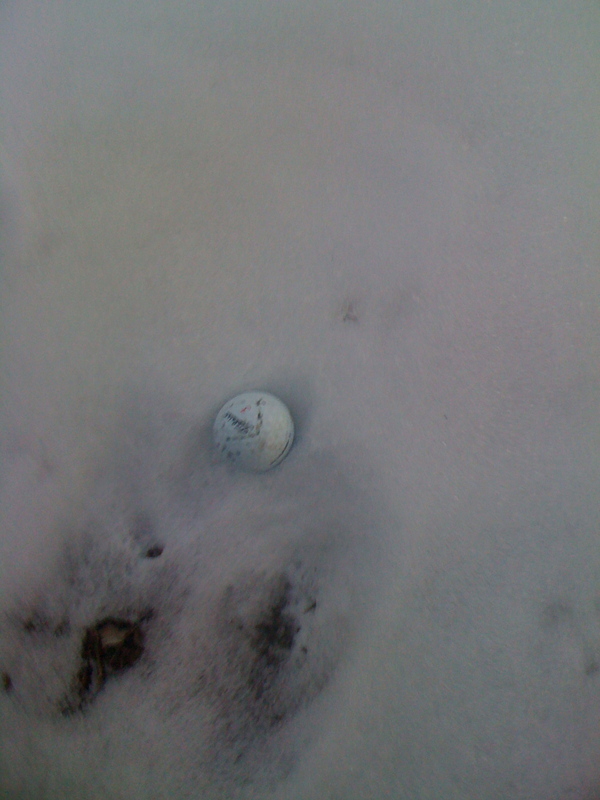 UPDATE: I found ANOTHER golf ball. The casa (spanish for house) is UNDER-SIEGE. I’m going to have to hire a caddy or something.